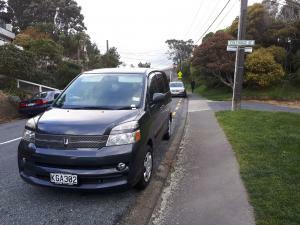 Voxy Van (KGA302) has been abandoned - near corner of Mornington Rd & Coleridge St, Brooklyn, Wellington 6021. Been there unmoved for several months. Now has a $200 parking ticket for expired rego. Very inconvenient for local residents.